Light truck tyres have different demands and requirements than cars and General Grabber AW tyres are a perfect choice for meeting these differences. Dealing with loaded and unloaded vehicles and ensuring they produce the best performance and reliability in all weather conditions are just two examples. 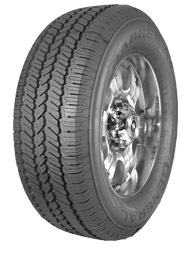 The durability of these tyres is exceptional and this improves their value even more. Don’t miss out on Grabber AW tyres from General.